Ubuntu 15.04 Vivid Vervet is reaching the end of its life. Its users will no longer receive security notices, critical fixes, or updated packages after today, February 4th, 2016. Even launchpad PPA will build no more packages for Ubuntu 15.04. 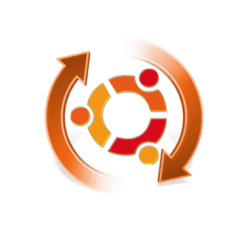 Canonical will officially announce the end of Ubuntu 15.04 soon on news page. Users are recommended to upgrade to Ubuntu 15.10, another 9 months support release (ends in July, 2016), or install Ubuntu 14.04, an LTS release with 5 years support. After making a backup of your data, disabling third-party PPAs, and uninstalling the proprietary video drivers, you may press Alt+F2 and type in “update-manager” (without the quotes) into the command box. It should bring up Update Manager and tell you: New distribution release ‘15.10’ is available. Click the Upgrade button and follow the on-screen instructions. See this page for more details.